Highly customizable HUD for TF2. Create your own theme and share it with others at toonhud.com! Probably one of the best customizable huds ever. I would like a feature where you could also customize the menu look like if it looks like rays hud which is a list of the buttons or just you get the point. But if its not available then I guess not. how do i get its updater? @GunMannJeff: There's no updater anymore. @Wayward Pines: Login at toonhud.com. Can you update this HUD so I can use it on the Meet Your Match update? When I click on 'Find Game' it doesn't open up the tab to show the game modes so I can't even regularly start a game, is this just me? This only happens with ToonHUD. I love how customizable this HUD is. Please answer .I have a problem,all titles an digits are higher than they suppose to be.Half of the digits disappear and it's uncomfortable for me to play. @Dont worry Im a noob: You have to change the font to something else. Most of ToonHUD's fonts do not work well with Mac. Use "TF2 Build" or a custom one. This is my favorite hud but one thing prevent me from using it exclusively- Many times, I can't read the damage numbers floaters. I think it's because they disappear too fast. i cant figure out how to customize my hud, I went thru some comments above it said to login on toonhud.com so i did. 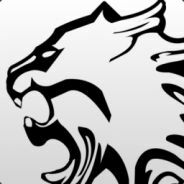 Still i get nothing, please add me on steam and explain to me how to do this. Why doesn't my custom font work on my mac? I've downloaded the fonts and they don't work. @Hunky Dory: You can change that in resource/ui/huddamageaccount.res -> CDamageAccountPanel -> delta_lifetime. It's 2 seconds now. Maybe I'll make it as an editable option in the editor at some point. @_Combat_Chicken_: It seems that you haven't made an account yet. You login at toonhud.com and then type a username you want to use. Then you can make themes. @Cpt.ScoutMan #TeamHeavy: You are probably trying to use Opentype fonts or something. TF2 only supports Truetype fonts. They are .ttf files, they just aren't working. How to customize this hud ? toonhud.com - log in to create your own theme. @ctOS: Change the font. Komika Axis doesn't work well on Mac. @Griever How do I do that? all the text is cut in half for me what do i do!?!?! Latest one is broken? Random black boxes over people's names. Great until now. Oh and I'm on Mac. in Team fortress 2 when you press M, or go into your loadout menu you can change the color of the class you chose to see what he looks like on both teams. By default it is always red no matter what team you are on it is red. but if you change it to blu, everyone on your/the other team will become blu. In the past this didnt happen but now (sometime after the halloween update) this glitch showed. try it for yourself if you feel like it. Everytime I open the chat and then finish typing or reading it makes the cursor jump to the upper left of the screen as a result of using this HUD, it's never done this before with the other HUD's I've used before. Also the Achievement HUD overlay thing, it would be nice if that could get a customizable place on the HUD too as it just throws it up into the upper left corner with barely readable text. how do i change the location on the base jumper icon? when i load the game the main menu is all white and i can barely see the menu icons, please help. also the in game hud is broken aswell, i have absolutely no idea what's going on. Can u make the min mode that make heath bar, ammo bar smaller and stick to the bottom of the screen. My only issue is the recharge and HYPE bars. Really wish they were labelled. Other than that, excellent HUD. I would like to know how to get the ammo near the centre of the screen. please respond!! other than that, great hud! This hud is so go0d. my only issue with this hud is that damage numbers don't appear at the bottom of the screen. other than that, it's great. Amazing HUD. By far my favourite one out there. It is very clean and easy to use. How do I customize the hud? I have one problem.When ever I turn the Transparent Viewmodels on the screen is Blury(I don't need glasses) and when I go Thirdperson or I use the prinny machete the screen goes darker.Is there any way to fix it? Can you add a "kill counter" please? I would really appreciate it if you did. How do i change the character in the corner to not be default? A lot of work has gone in this hud, and it deserves its popularity. 5 stars. Best HUD ever! One thing, though. Sometimes in your inventory, australiums don't display properly in BLU mode. Dude, I got this problem. Since I installed your HUD it worked perfectly, but my action slot button doesn't work, nor my spectate item. Idk if it's my pc's problem but i hope it gets fixed. Thanks. 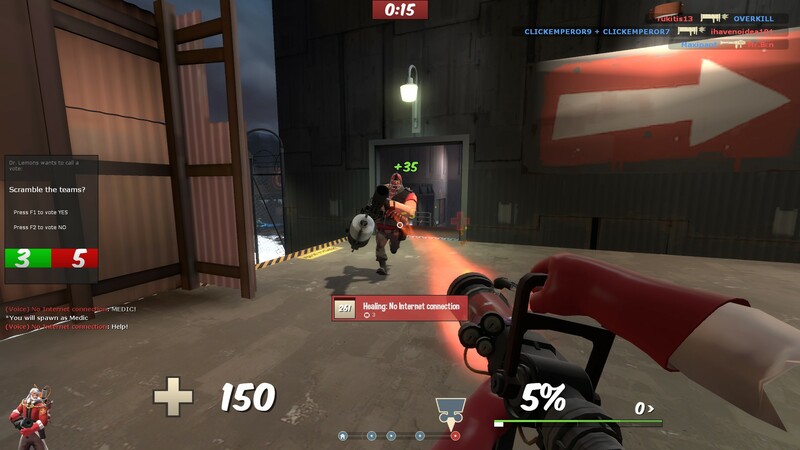 I love this HUD but in MvM the top of the screen showing all of your teammates health can get a little messed up by just showing static on it. I found an issue with the hud when I went to change my class. It keeps flickering like a light bulb in a horror movie. Can you fix it? Does anybody have a problem seeing the friends list?